Control of New Mexico’s Legislature is on the line in Tuesday’s election, and that’s evident in the fundraising and spending reports. Through Nov. 1 candidates in 17 hotly contested seats have raised nearly $6.2 million and spent nearly $4.5 million. NMID has reported on candidate financial filings in these 17 contested races over time, including how much candidates and their political action committees give to each other. Gentry’s reelection race, in an Albuquerque House District where Democrats outnumber Republicans 42 percent to 34 percent, with 19 percent of voters unaffiliated, comes as Republicans are trying to hang on to a 37-33 House majority won in 2014, their first in 60 years. He faces Democratic challenger Natalie Figueroa, a high school Spanish teacher who’s waging a feisty campaign at a fraction of Gentry’s spending. Gentry has raised more than $532,000 to Figueroa’s nearly $126,000. He’s spent almost $360,000 to her nearly $91,000. Outside groups are also taking sides in the race, with federal super PAC GOAL WestPAC running TV ads and Democratic groups sending mailers. Sanchez, on the other hand, is being targeted with laser-like precision by Advance New Mexico Now, the super PAC operated by Gov. Susana Martinez’s top political aides. Advance is spending nearly $370,000 on TV ads attacking Sanchez, with additional spending on radio ads and mailers. Sanchez is airing his own TV ads, while Democratic PACs are also defending him. Republican attorney Greg Baca is Sanchez’s opponent in a district centered on Belen, south of Albuquerque, that is 48 percent Democratic, 29 percent Republican and 19 percent unaffiliated. Baca, like Figueroa, is raising and spending considerably less than Sanchez. The majority leader raised nearly $472,000 in the last two years to Baca’s almost $144,000. Sanchez has spent nearly $424,000 to Baca’s $113,000. Unlike candidates in other competitive races, Gentry and Sanchez aren’t getting a large percentage of their campaign cash from fellow lawmakers or PACs operated by them. Gentry received 6 percent of his money from fellow legislators and their PACs, while Sanchez received 13 percent from his peers and their PACs. Figueroa received 41 percent of her contributions from other legislators and their PACs, while Baca received 26 percent of his money from lawmakers and their PACs. Albuquerque House District 15 where GOP Rep. Sarah Maestas Barnes is defending her seat against Democrat Ane Romero ranks third in terms of fundraising. Maestas Barnes also ranks third individually, with $289,000 raised to Romero’s $201,000. The Senate District 36 in Las Cruces where Democratic Rep. Jeff Steinborn is challenging GOP Sen. Lee Cotter is second in terms of overall spending. There, Steinborn has the upper hand, spending nearly $181,000 to Cotter’s nearly $120,000. But Steinborn’s spending includes the cost of a competitive primary. 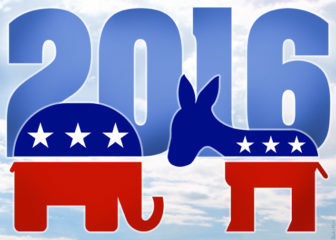 Both candidates are running TV ads in Las Cruces. And former Democratic Rep. Liz Thomson trails only the two legislative leaders in spending in competitive seats, with more than $196,000 spent through Nov. 1 compared with more than $81,000 for her GOP opponent Christina Hall. Here’s a look at the fundraising and spending by race, with the bars representing the party that currently holds the seat. Outside groups are also spending heavily in most of these races. But because New Mexico doesn’t require disclosure of independent spending on specific races, it’s impossible to tell how much is actually being spent in the races. Here’s a full list of cash in the 17 top races. New Mexico political action committees have raised nearly $15.8 million and spent more than $14 million in the two years leading up to Tuesday’s election. Those PACs have bought TV and radio ads, sent mailers, paid for robocalls and polls.